Magic wakes in the tiny Scottish village of Lachmuirghan, where the Teacher of All Things is on the prowl. When city girl, Kirsty Muir returns to her roots in the Scottish Highlands she finds nothing has changed. Or has it? 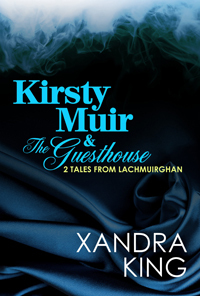 When the Teacher of All Things pays a surprise visit to Kirsty’s guesthouse the cold winter nights get hotter, and Kirsty’s education is broadened in every way. In this steamy short men in kilts appear unexpectedly, while a recipe for an old Scottish pudding has unexpectedly beneficial effects.